If Veronica Mars, Scandal, and House of Cards Had an Attractive Baby - Howdy YAL! I used to be the blogger called YAL Book Briefs, but I grew bored of the handle and changed my name to Howdy YAL. I also respond to MJ. 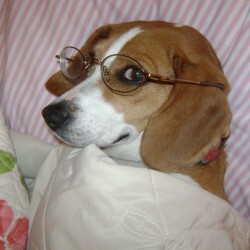 I like to read, write, eat truffles, and watch bad Lifetime movies. I was kind of worried about this book because I have a hit or miss track record with Jennifer Lynn Barnes’s stuff. Fortunately, this one worked for me. Which I was extremely grateful about. The pitch comparison is perfect, though I think someone should’ve mentioned House of Cards as well, since I did see shades of Raymond Tusk in a certain character-at least that’s who I pictured said character to look like. The political scandal/mystery surrounding the book, worked surprisingly well. I was a little worried about how Barnes was going to pull it off without it seeming cliche or eye roll worthy, but it didn’t feel that way to me. The mystery when you got down to it, was pretty simple and I think that’s one of the things that helped the book work. If it would’ve been too complicated, it would’ve failed on its face. Because it would’ve been too much, especially for a first book in a series. I think one of the big reasons this book worked for me, is right now I am really into political themed YA. Blame, The Right Side of Wrong for that. 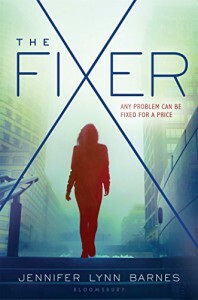 The Fixer takes a different look at an aspect of DC life and it does it just as well. There was a lot of mystery though, still by the time I finished this book. I needed-wanted-more back story with Ivy, and I guess that’s what book two is for but still. Also, I really liked how Barnes portrayed Alzheimer’s. The portrayal of that character was pretty spot on, my grandma suffered from the disease, and watching Tess’s grandad decline was a painful reminder of what my grandmother had endured. Romance in this book was surprisingly light and I actually approved. I liked how there were hints that something could develop amongst multiple characters in the story further down the road, BUT for now the book just took it’s time with the getting to know you stage and establishing relationships. That is something I could really do more of with YA. Also, there was a strong emphasis in this book on family. And that is another thing I could do with more in YA. And I wanted more development in this area as well. Again, this is only the first book. So hopefully, in more installments this factor will be developed as well. I could nit pick on a few things about this book, but to be honest I’m not. The few flaws that were in this one didn’t tarnish my reading experience. I was able to get through this one in a weekend (and I was packing/cooking/cleaning/shopping/and simultaneously playing two Nancy Drew games throughout all of this). Overall Rating: A solid A.